Nintendo's announcement of the Wii Vitality Sensor was one of the most mystifying product announcements at the show. We asked for more information. Nintendo's president, Satoru Iwata unveiled the Wii Vitality Sensor at E3 and has since explained in interviews that the Wii add-on will use light to measure bloodflow and therefore certain bio-rhythms for people who use it. But this product's still a head-scratcher, and Nintendo did curious onlookers no help by not showing any software using the device. By contrast, Nintendo unveiled the Balance Board at E3 2007 with a live demonstration of Wii Fit. So, we asked Nintendo of America president Reggie Fils-Aime at E3, what's the Vitality Sensor all about and why unveil it this way? "We've been very clear that our objective is getting more and more consumers into this gaming industry we love," he said. "In our view, as we grow the consumer base, it will drive a vibrant, healthy industry. We've been able to get a certain number of consumers with Brain Age. We've been able to get more with Wii Fit. We're constantly thinking about what's the next innovation that will drive the consumer who, today, is still saying, 'I want nothing to do with video games,' to get into this industry and have a great experience. In our view, the Vitality Sensor and the software that will accompany it is a step down that path." Fils-Aime said there are "some unique elements" not yet revealed about the sensor, details that may be revealed early this year. If not, then next year will hold the key. "The product is something we're anticipating to launch some time in 2010," he said. 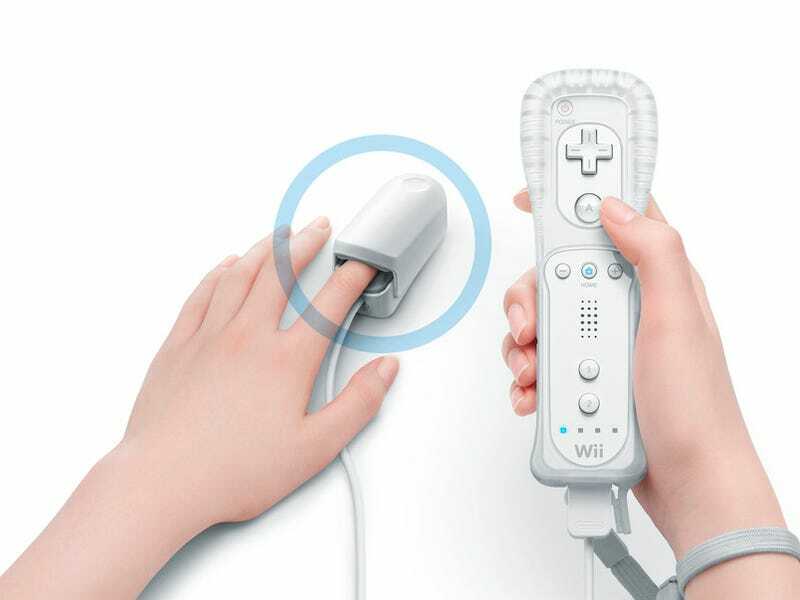 Confusing as the Wii Vitality Sensor may be, Nintendo's ability to turn head-scratching into head-nodding with the Wii remote and the Balance Board suggests that this next Wii peripheral may still be worthy of the benefit of our doubts.